You only need four ingredients to make this gorgeous summer fruit salad! 1. 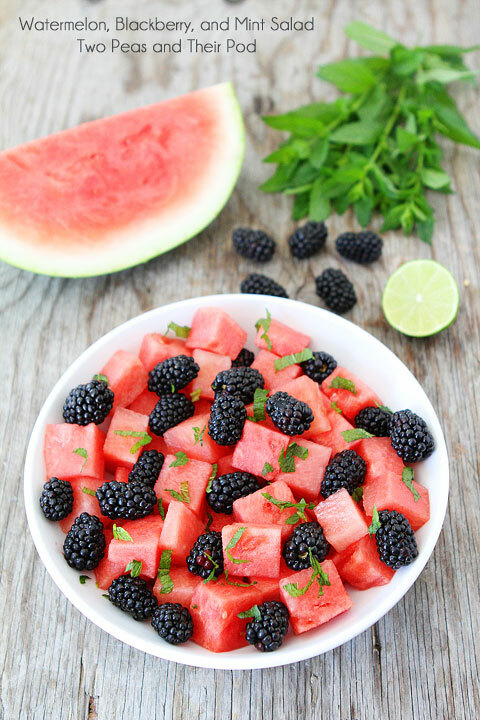 In a large bowl, combine watermelon, blackberries, and mint. Squeeze fresh lime juice over the fruit. Gently toss and serve.